Pausing to reflect on the Lord's goodness and faithfulness calms the soul. 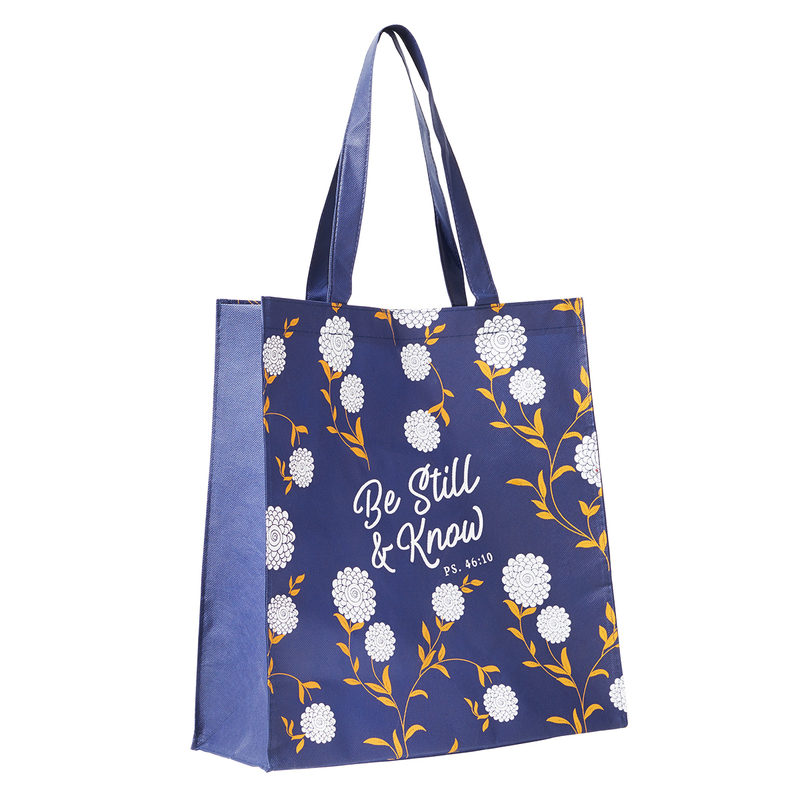 This Be Still and Know Tote Bag reminds believers to meditate on the Lord's all-sustaining power. The verse from Psalm 46:10 has been artistically illustrated on the cover of this tote. The dark contrasting color of the tote makes the white floral design and lettering stand out. This is an ideal tote to take anywhere. 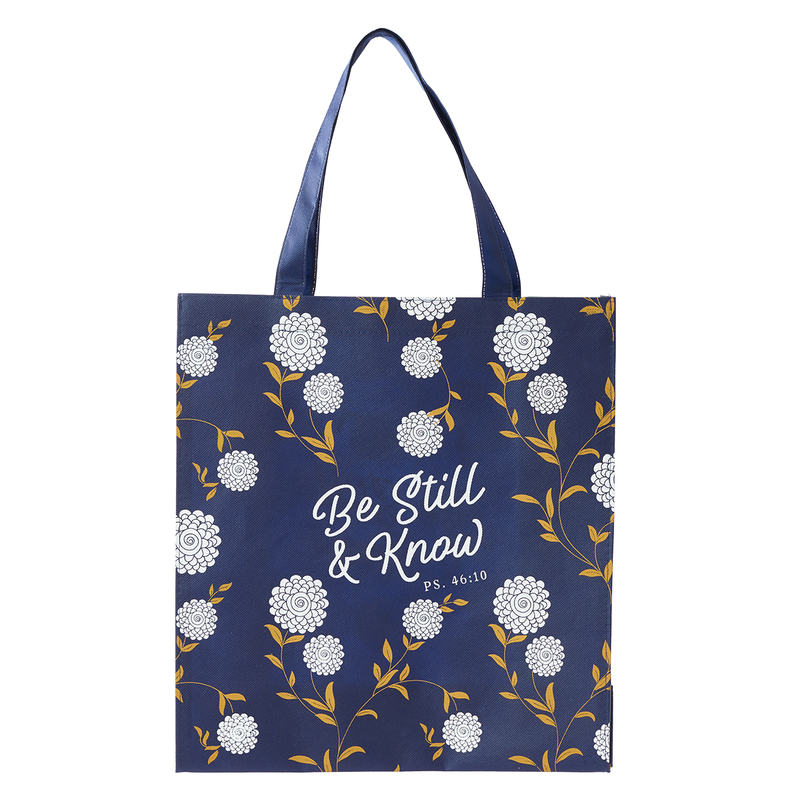 Be Still and Know Tote Bag - Psalm 46:10 by Christian Art Gift was published by Christian Art Gifts, Inc. in September 2018 and is our 122nd best seller. The ISBN for Be Still and Know Tote Bag - Psalm 46:10 is 1220000131026. Very happy with the product, had previously bought another bag similar “Grace UPON Grace.” Easily wiped with a damp cloth to keep clean. Capacity to hold a lot of things and also good price. I bought 9 of these bags, with different Christian phrases, and sold them to friends at church. They are walking adverts for our faith, and good fun too, hopefully they will help us to chat to someone. Got a question? No problem! 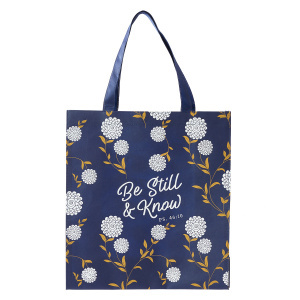 Just click here to ask us about Be Still and Know Tote Bag - Psalm 46:10. A:We're so glad you love the designs we offer! We'd be happy to apply a voucher to your order. Call us on 0800 612 2186 and we'll be able to tell you more. Thank you for using Q&A Forum.